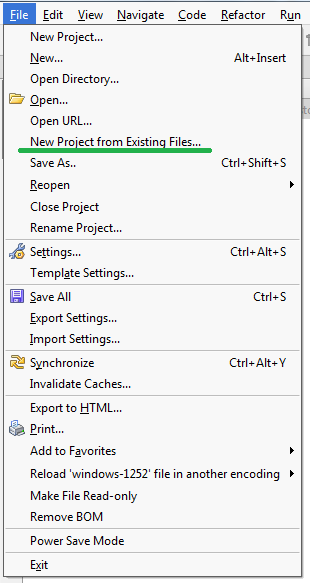 I feel a bit stupid but I can't find an option tio create new project from existing files. What I want to do, is to open an sftp connection to my server. 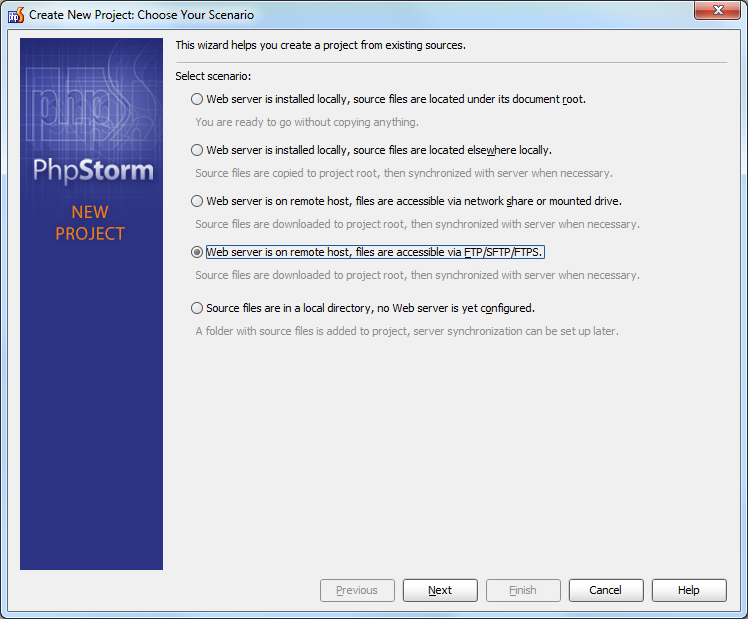 Then choose "Web server is on a remote host, files are accessible via FTP/SFTP"
I attached the screenshots for PhpStorm 5.0.4. Btw, the direct work with remote files is not supported (good performance is not guaranteed). Yeah, that's where it should be I guess.. but it isn't. Have I somehow disabled that or what? Make sure that bundled "Remote Hosts Access" plugin (which is responsible for FTP/SFTP/FTPS/etc functionality) is enabled in "Settings | Plugins".